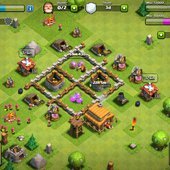 It is just about two days since I started this Clash of Clans game for iOS/Android. I don’t know what the type of game is called but you can build stuff like buildings, cannons, mortars and stuff. I remember those days when I played Red Alert II, although Clash of Clans is an online game. Is it a MMORPG? UPDATED: Added image of my village at level 30. After two days, the so-called three-day shield (so that I won’t get attacked) will expire and I will soon witness my base attacked by enemies. Based on that fact, I know I’ll become a defensive player and will build as much defense buildings as possible. See my base layout (level 11 currently). UPDATE: Below is my village at level 30. 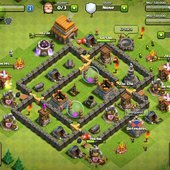 This entry was posted in Gaming and tagged clan, clash, clash of clans. Bookmark the permalink.